We were very lucky and found a seven month old Blue Heeler/Australian Cattle Dog. It's a very long story and unfortunately there's no dogs left. Despite having had no prior training, she is extremely well behaved, with excellent recall. I put this down to her being on a farm and getting plenty of exercise, somebody there must have loved her, calling her for food. I would be interested in hearing from any others who have heelers in LOS. They handle the heat well, but require lots of exercise, ideally a few hours a day. Without this they can easily develop behavior issues. I'm sorry you didn't get any replies back in January. She's a happy healthy looking dog, well done. 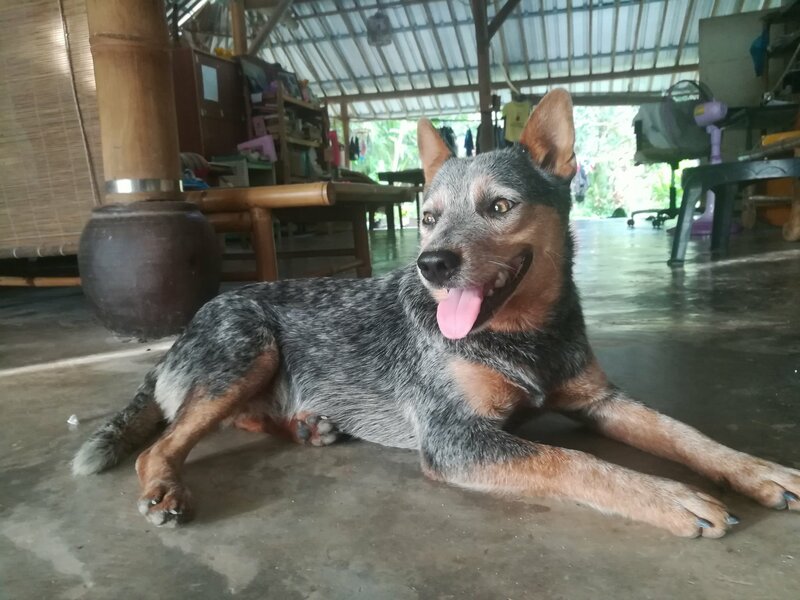 I'd have thought the blue heeler would be the perfect dog for Thai farms, but I'm surprised there are any in the country really. I'd get one for our 8 or 10 acres if they were available, wife would rather have a German Shepherd for the 'intimidation factor'. The heeler are part dingo I believe, bred for Australian conditions when the English cattle dogs proved unequal to the task back in the colonial days. I think their not cute enough to be popular here, although that could change as I here Border Collies are popular because they're easy to train. They are tough dogs with very few health problems and can handle the heat, which most imported dogs can't But they need a heap of exercise. We live on 4 rai, Bella runs around all day chasing squirrels, but still needs a long walk or swim to even come close to tiring her out. She is stubborn and a bit nippy/rough. We wanted a German Shepherd, but gave up on the idea due to their health issues. Heelers are excellent watch dogs and will bite if necessary. They have a reputation for allowing strangers into a property, then bailing them up and not letting them leave. Thanks for the pictures. Revived memories of my last dog in Australia. Intelligent, active and fiercely loyal/protective to their owners. Yes, requires a lot of exercise, they can go to fat if not looked after correctly. Ours would chase a tennis ball for as long as you kept throwing it. I had to get an old racquet so I could hit it further with less effort for me! They are called heelers because they were bred as cattle dogs and they nip at the hind legs to keep the animals moving. Unfortunately our girl would occasionally nip the heels of people she was wary off. I had to pay for more than one ripped pair of trousers. They would defend their people with their life, no one would ever touch your kids if you owned one. I am interested in this. I have a Bang-Kaew myself. Got it from neighbours who had a litter. We could go along very well with the mother, and all other puppies. I do not have any experience with dogs in my live, but I have some good experience with keeping rabbits. Can you guys give me some advise? If you do not have any experience with dogs then maybe go for a less hard working breed. 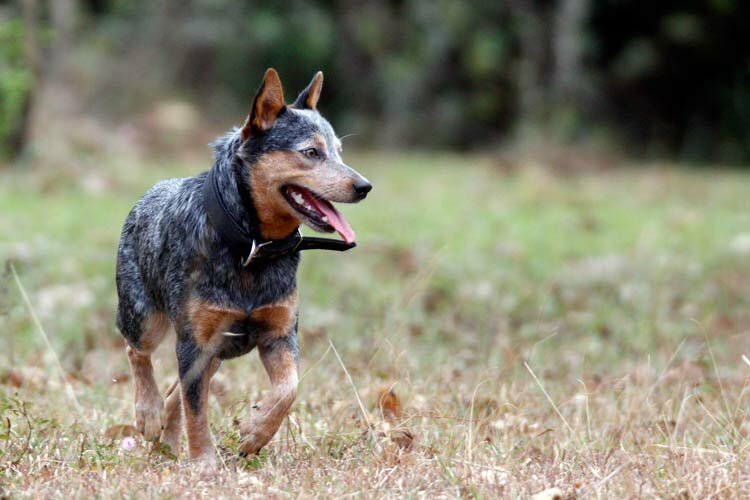 A Blue Heeler is a working dog that needs a lot of space, a lot of exercise and a lot of jobs to do. It cant just sit around at home like many other dogs otherwise all sorts of issues will arise (both physical and mental). 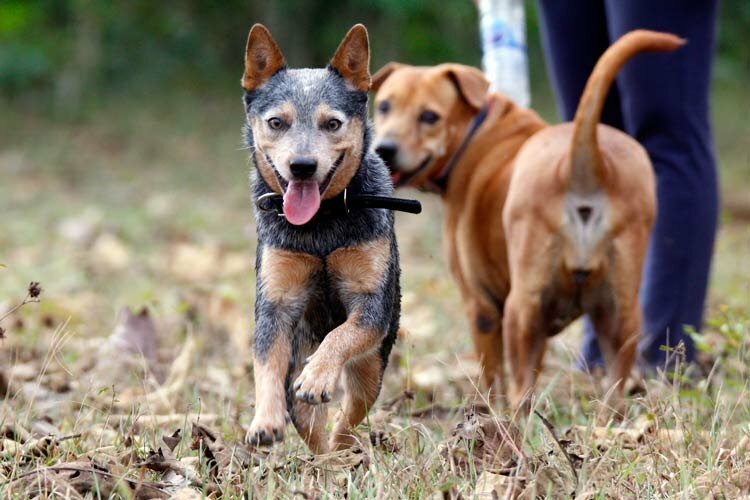 Heelers, like BangKaews, can also be very dog dominant, not sure how the two dogs would go together - at the very least would have to be opposite sexes. I think your BangKaew is more than enough dog for an inexperienced household. PJHassselt, while I'm no expert, from what I've seen Bangkeaw are very aggressive dogs, more so than German Shepherds and Rottweilers. I've been told that they are semi-wild/not fully domesticated, not sure how much truth there is to that, but the breed seems willing to bite pretty much anyone. I have some experience with Bang-Kaews. They are not aggressive by definition. They leave family members intact. They even protect them. I also do not think they are physical very strong. But their strongest point is they do not know fear, and they do not know pain. On top of that, they are very difficult to train. I do not think they are very intelligent. That is my doubt. Sometimes it looks like that, I agree.....! Does anyone know where you can acquire a blue heeler in Thailand? I have looked but have not found a breeder. I had one on my farm before. Smart, loyal, friendly and a great property protector. Mine nipped the tyres of all cars coming onto the farm and new comers were too frightened to get out of the car. They have a natural immunity to ticks which is handy in Queensland. Not sure if the paralysis tick is in Thailand. There are very few over here, when we were looking there were pups for sale for well over 100k! Apparently the father was imported from the US. One day most likely we will breed our girl, but I most likely it will be with imported sperm, as I think the gene pool in Thailand is too small. So if you do find one at a reasonable price, be very careful about the parents. You could import a dog, it would be cheaper than what pups were being sold for. If you import a male, please get in touch.